This area is the most vulnerable to the extremities of the weather, taking the full force of wind, rain and snow. Therefore, keeping this area securely sealed should take priority. Exceptional roofline products will protect your roof space, timbers and interior from water damage; failure to maintain these properly can cause serious problems. These include damp patches, mould, dry rot, wet rot, plaster damage and animal & insect infiltration. Left untreated, these problems can become catastrophic to your homes structure. Consistently maintaining and replacing these roofline elements will ultimately keep your home protected for many years to come. First impressions count, so high performance roofline products will provide a great finishing touch to a renovated property. It’s not surprising that a high-quality roofline can increase the value of your home. Top-notch roofline products from Cliffside will show prospective buyers that you’ve really looked after your home, making it a sound investment choice. 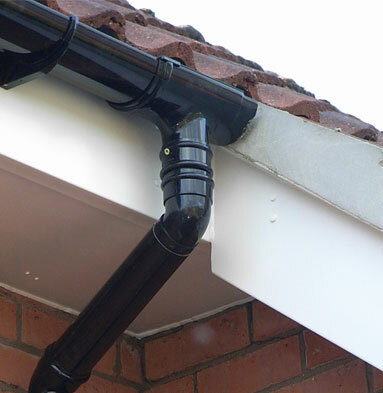 Furthermore, if you think about it, the initial outlay involved in replacing your guttering, fascias and soffits is miniscule compared to the cost of a new roof further down the line. The sky’s the limit with a low maintenance Roofline installation! At Cliffside Windows, we are proud of our dependable, competent and economical roofline repair and replacement services available across Lincolnshire. With the glorious Summer months ahead, it’s the ideal time to repair or replace your roofline before winter swings around once again. Offering quality-assured fascias, guttering and soffits in a range of colours and finishes, please visit our Lincoln showroom or get in touch with us today for further information. We look forward to enhancing your Lincolnshire roofline very soon!